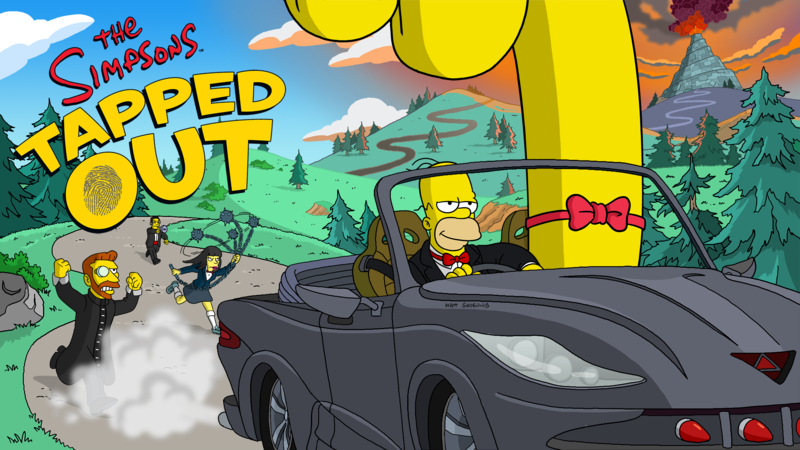 The Simpsons: Tapped Out Secret Agents is the main event of the Secret Agents and Easter 2017 update and was released on March 28, 2017. 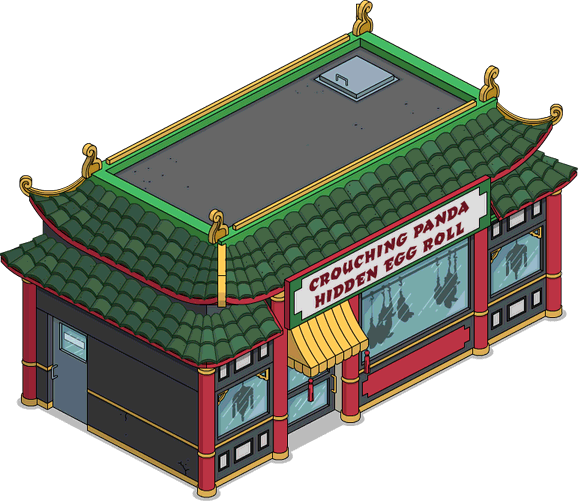 It added 11 new characters, 1 new decoration-character combo, 2 new skins, 18 new buildings, 4 new building skins and 26 new decorations. 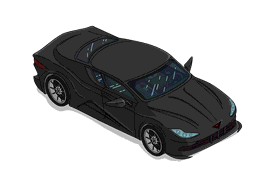 Agent Bont Act 1 Prize. Wayne Slater 74,800 Act 2 Prize. 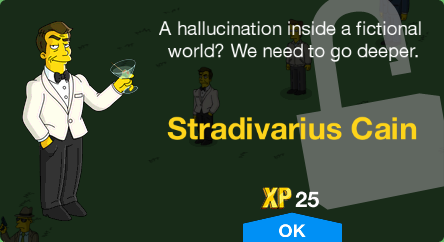 Stradivarius Cain 70,250 Act 3 Prize. G.H.O.S.T. 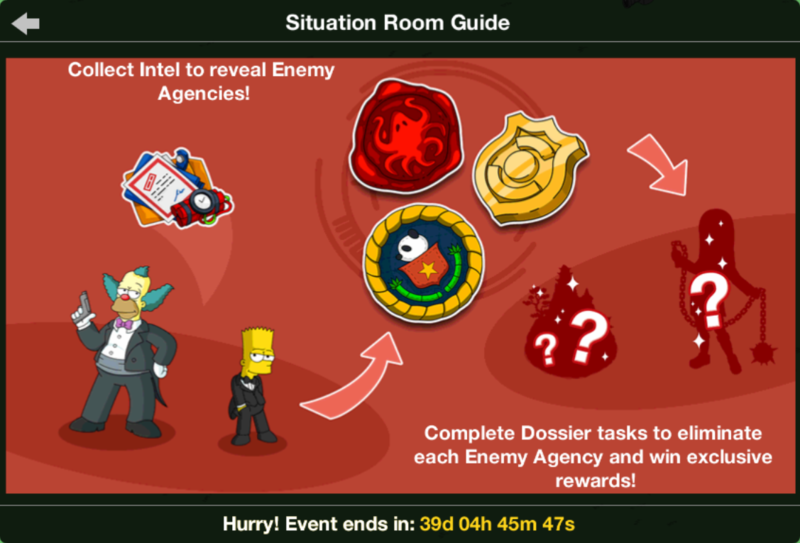 Enforcer Unlocks with Situation Room's G.H.O.S.T. dossiers. Grindhouse Assassin Unlocks with Situation Room's C.I.A. dossiers. Yakuza Boss Unlocks with Situation Room's Wall Street dossiers. 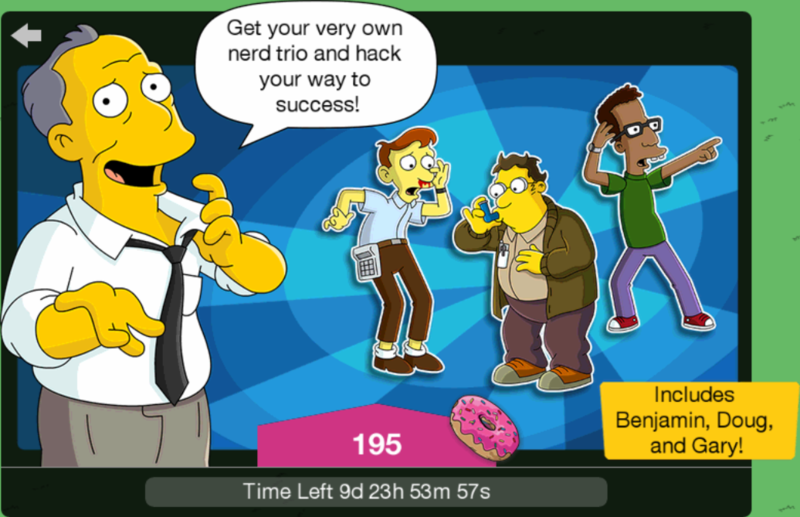 Benjamin Unlocks with University Nerds Bundle. 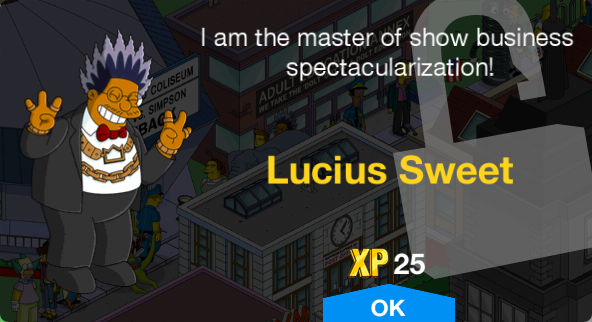 Lucius Sweet 120 Rebate: 20. 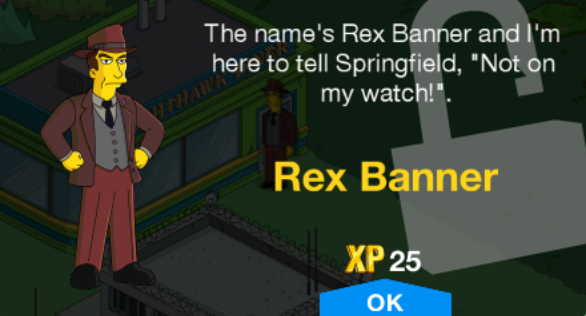 Rex Banner Unlocks with Nighthawk Diner. Returns from 4th July 2013, July 4th 2014, 4th of July 2015 and 4th of July 2016. Number 51 Unlocks with Mystery Drop Box. 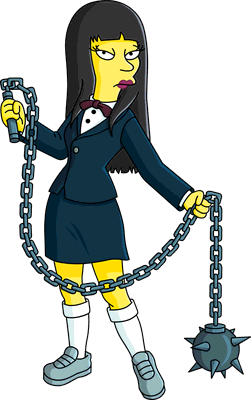 Treehouse of Horror XXV and "The Marge-Ian Chronicles". 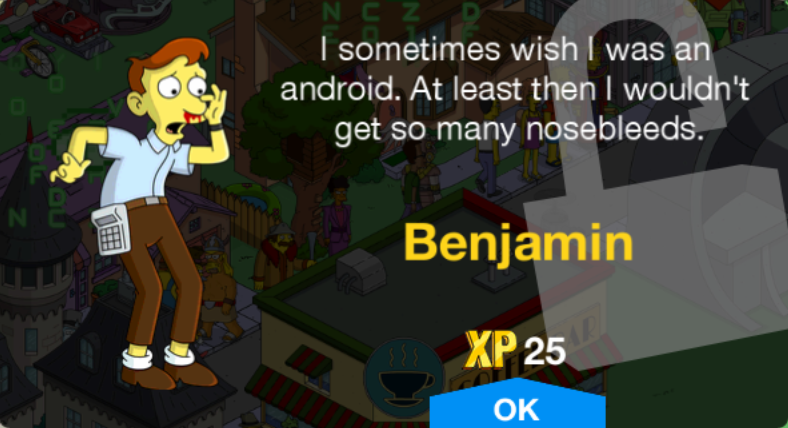 Mastermind Hank Scorpio Unlocks with Mastermind Bundles. Post Event: Quadruple Crossing the Triple Crossers Unlocks after starting The Man Who Knew Too Little Pt. 4. Post Event: Spying on Everyone, Everywhere Unlocks after starting The Man Who Knew Too Little Pt. 6. Enables permanent switch of Spy Animations after starting Act 2. Post Event: Creating World-Threatening Digital Viruses Unlocks after starting The Man Who Knew Too Little Pt. 7. 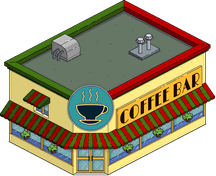 Cappuccino Royale 26,800 Eavesdropping on More Than Coffee Talk Act 1 Prize. 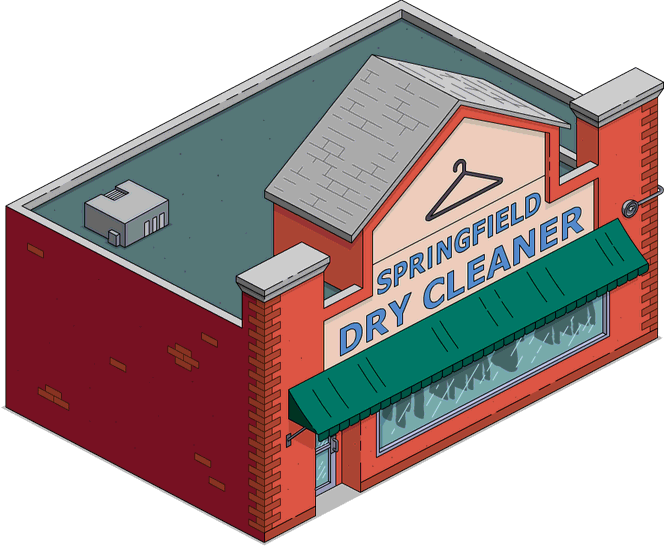 Springfield Dry Cleaner 6,450 Dry Cleaning Ammo Belts Act 2 Prize. 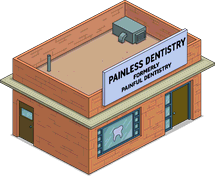 Painless Dentistry 24,950 Implanting Tracking Devices in Your Fillings Act 3 Prize. Post-event: 55 Quadruple Crossing the Triple Crossers Event: Craftable. Globex Compound Build a Wing Unlocks with Globex Compound Bundle. 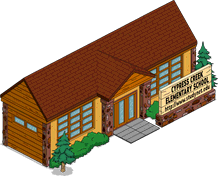 Forest Headquarters 41,600 Act 1 Prize. 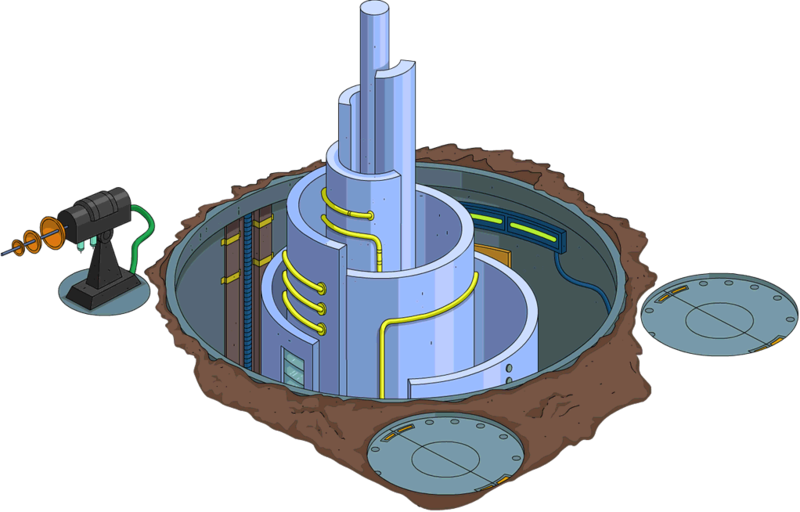 Underground Headquarters 39,700 Act 2 Prize. 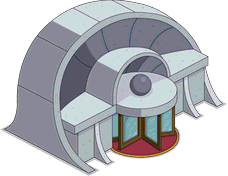 Lake Headquarters 37,900 Act 3 Prize. Botanical Garden 25 6s Boring School Children Returns from Superheroes and Superheroes 2. 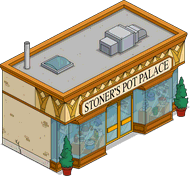 Abandoned Store 30 Being Abandoned Returns from Stonecutters and Stonecutters Black Market Sale. Buckingham Pay-Less Motel 55 Royally Screwing Customers Returns from Winter 2015 and Winter 2016. 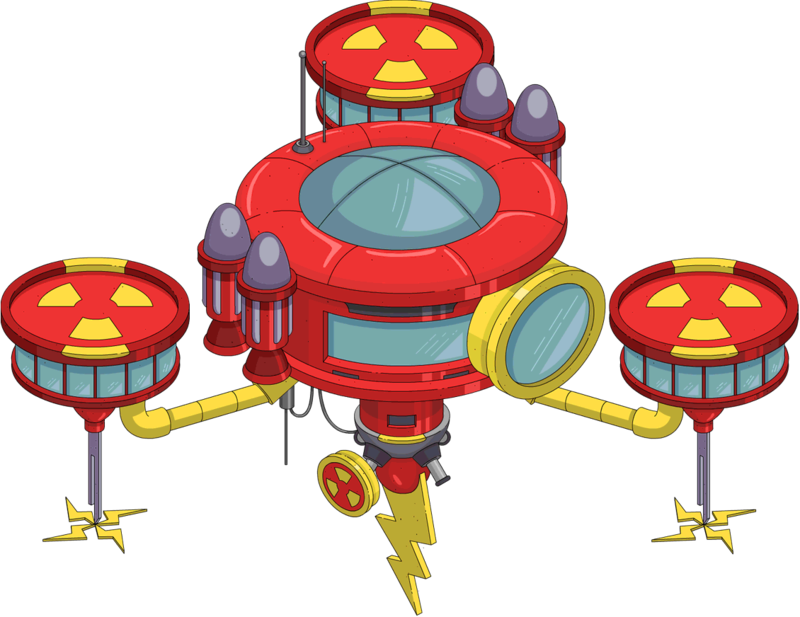 Super Collider 70 Pointlessly Accelerating Particles Returns from Treehouse of Horror XXIII, Treehouse of Horror XXV, Black Friday 2015 and SciFi. Unlocks Black Hole after completing A Matter of Density Pt. 1. 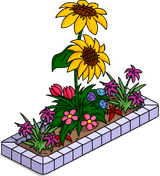 Springfield Greenhouse 80 Not Throwing Stones Unlocks with Spring Relaxation Bundle. 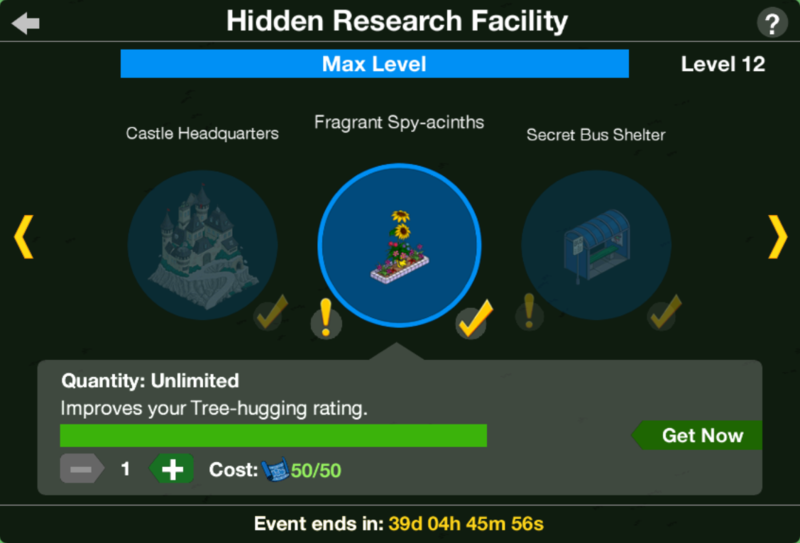 Unlocks a free Santa's Little Helper Topiary after completing its quest Greenhouse Asylum Pt. 3. 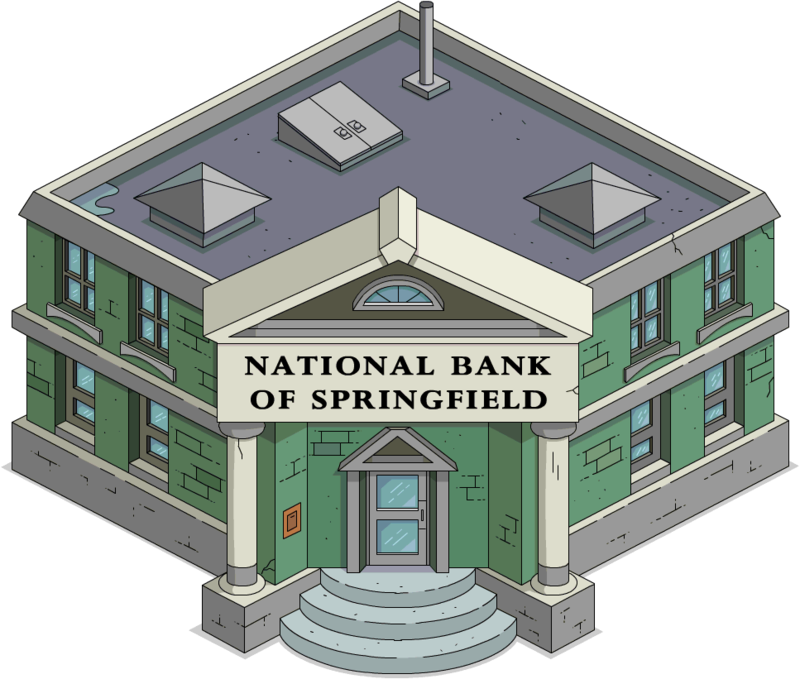 National Bank of Springfield Charging Banking Fees Returns from Superheroes and Superheroes 2. 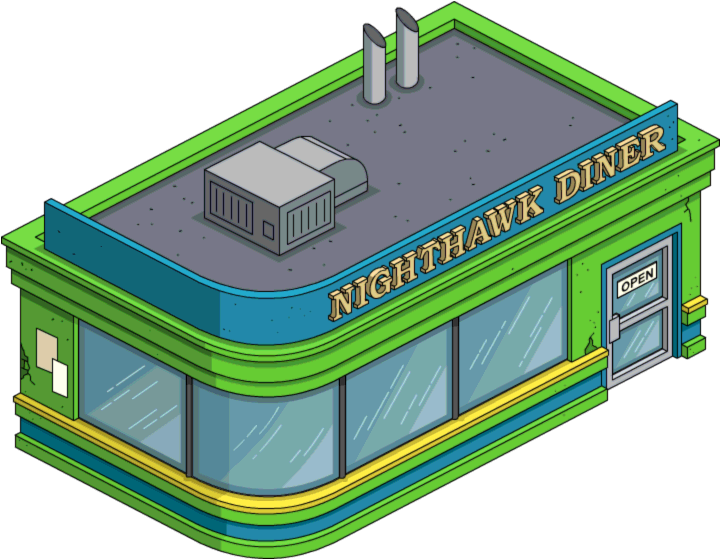 Nighthawk Diner Giving Insomniacs a Place to Go Unlocks Rex Banner. 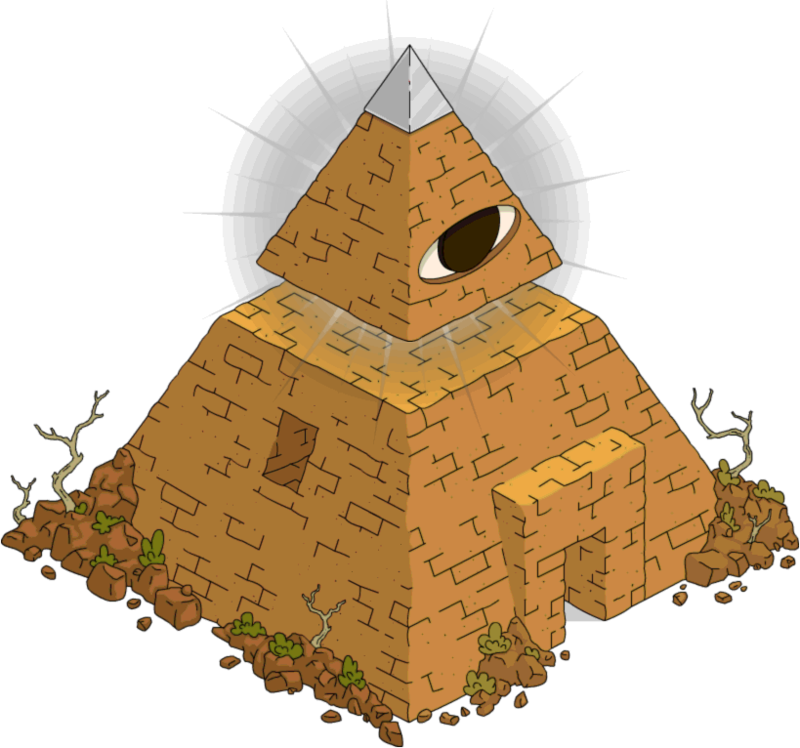 All Seeing Eye Breeding Conspiracies Unlocks with Mystery Drop Box. Plastic Surgery Center Correcting Gods Mistakes Unlocks with Mystery Drop Box. 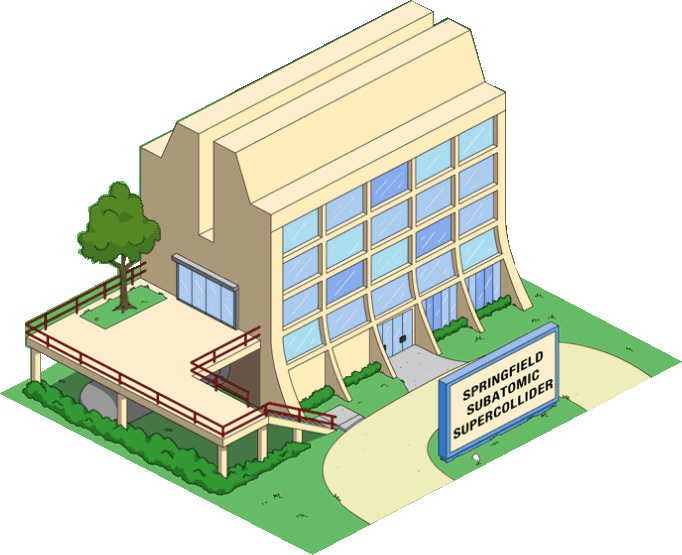 Springfield Heights and Springfield Heights Chapter 2. 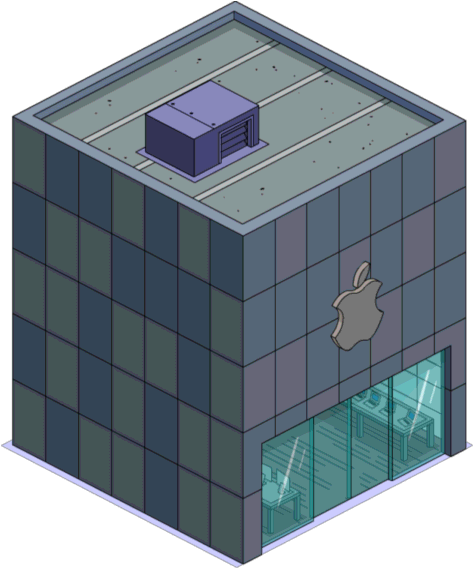 Mapple Store Putting M's In Front Of Product Names Unlocks with Mystery Drop Box. Returns from Christmas 2012, Monorail and Season Premiere 2016. Beach House Ignoring the Threat of Coastal Erosion Unlocks with Mystery Drop Box. 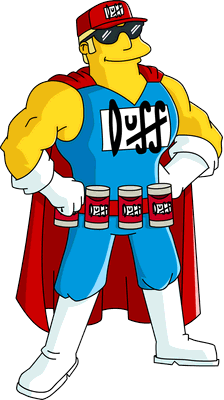 Returns from Superheroes, Superheroes 2 and The Most Dangerous Game. 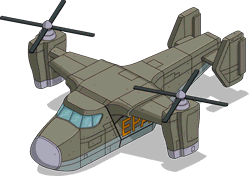 E.P.A. 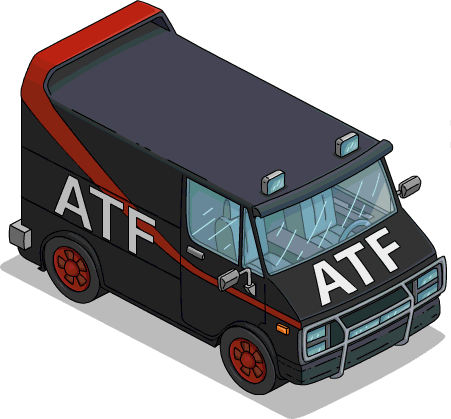 Truck 6,450 Act 1 Prize. 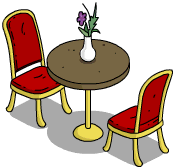 Death Table 78,600 Act 1 Prize. 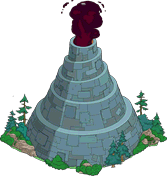 Lava Machine 25,850 Act 2 Prize. 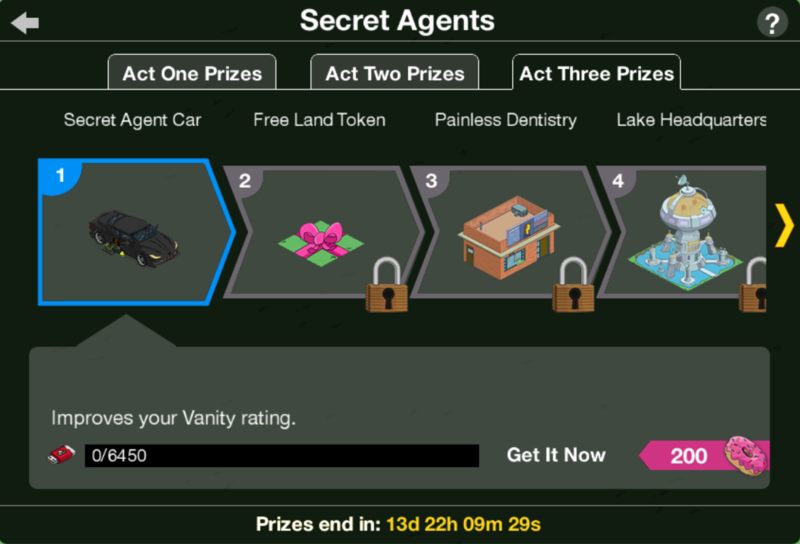 Secret Agent Car 6,450 Act 3 Prize. 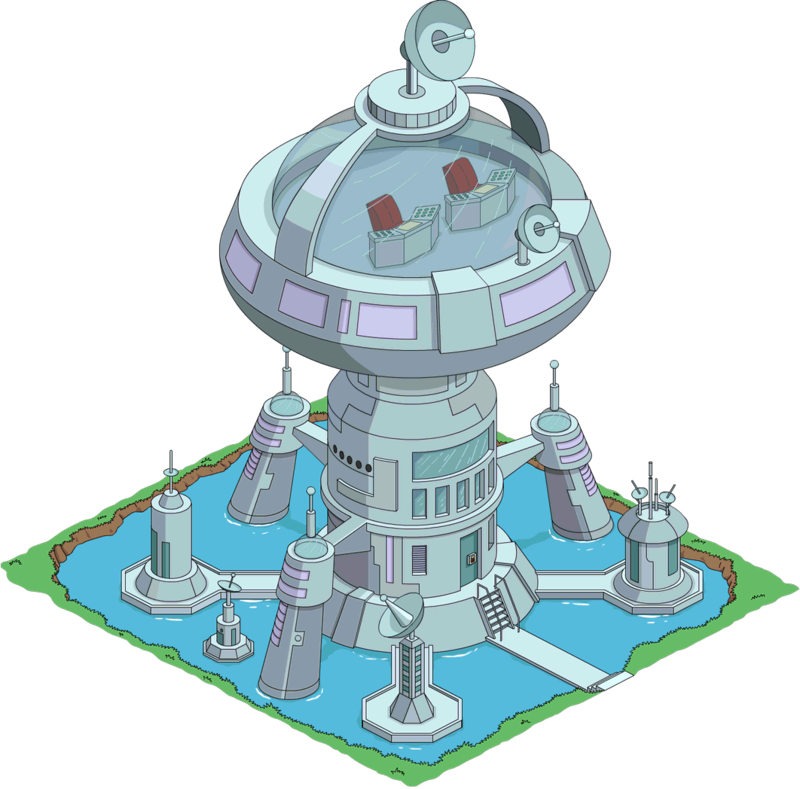 Screamapillar Pond Unlocks with Situation Room's Environmental Protection Agency dossiers. Dead Drop Mailbox 30 Craftable. 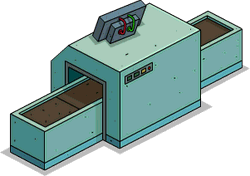 X-Ray Machine 10 New one with 0.75% Bonus $ and XP and 200 points in Vanity. 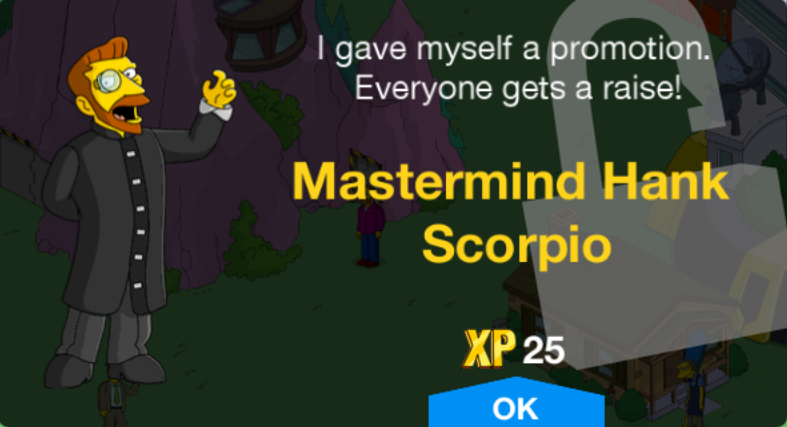 Globex Balloon 20 First unlocks with Mastermind Bundles. Santa's Little Helper Topiary Free after completing Greenhouse Asylum Pt. 3. Globex Operations Wing 2,000 First unlocks with Globex Compound Bundle. Atomic Bomb 30 Returns from Superheroes 2. 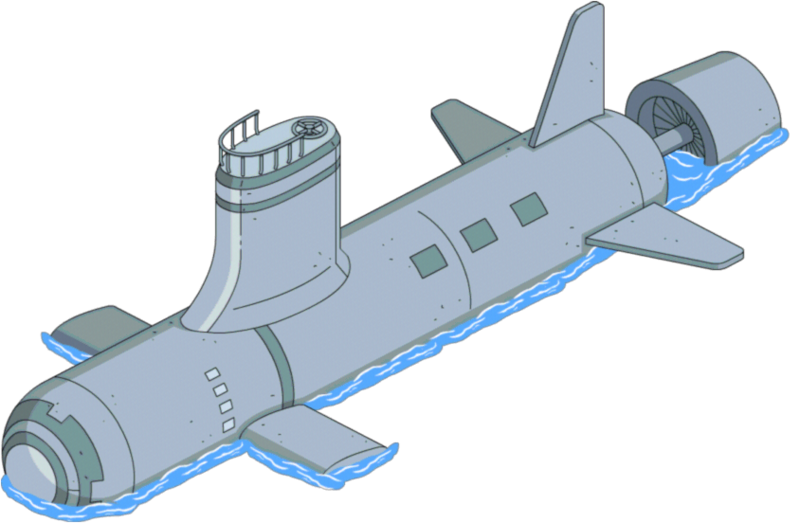 USS Tom Clancy 50 Returns from "Yellow Subterfuge" episode tie-in. 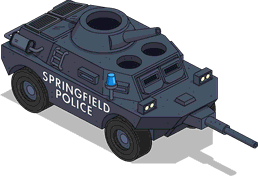 Police Tank 60 Returns from "Much Apu About Something" episode tie-in and The Most Dangerous Game. Basketball Court Returns from Superheroes 2. 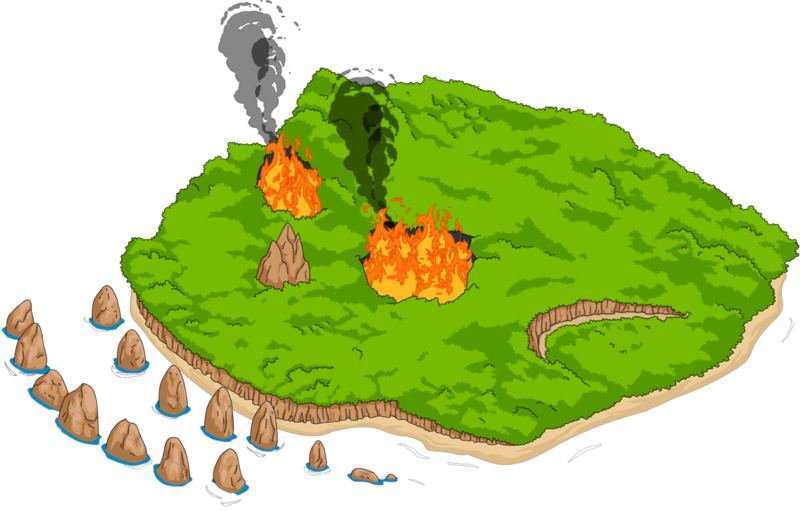 The Island of Dr. Hibbert 70 Returns from Treehouse of Horror XXVII. 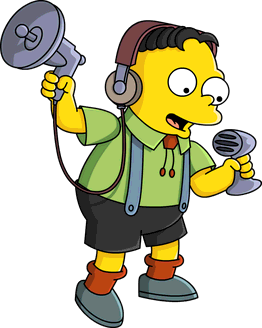 Black Hole Returns from Treehouse of Horror XXIII, Treehouse of Horror XXV and SciFi. 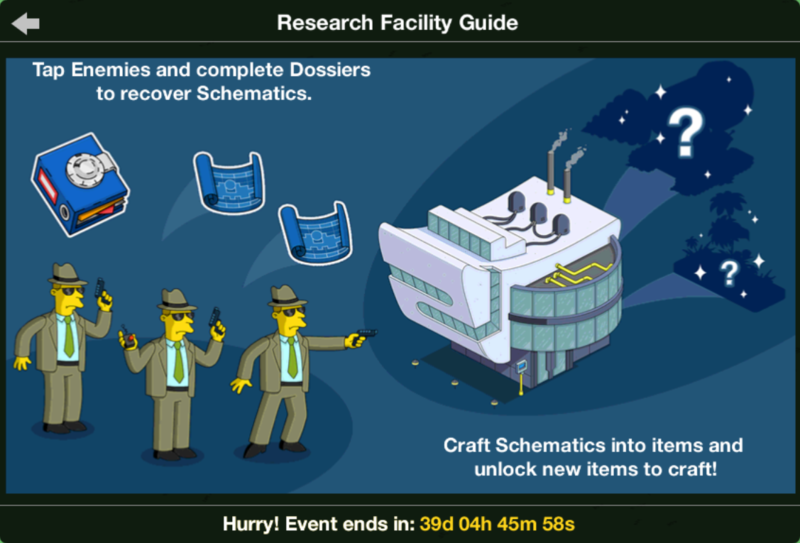 Unlocks with Super Collider after completing A Matter of Density Pt. 1. 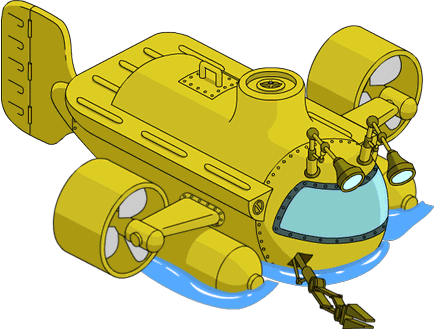 Yellow Submersible 85 Returns from "The Marge-Ian Chronicles" episode tie-in. 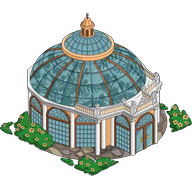 or Ornate Pier tile, even if you can't build anymore! 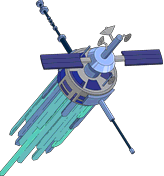 Satellite Station Unlocks with Mystery Drop Box. 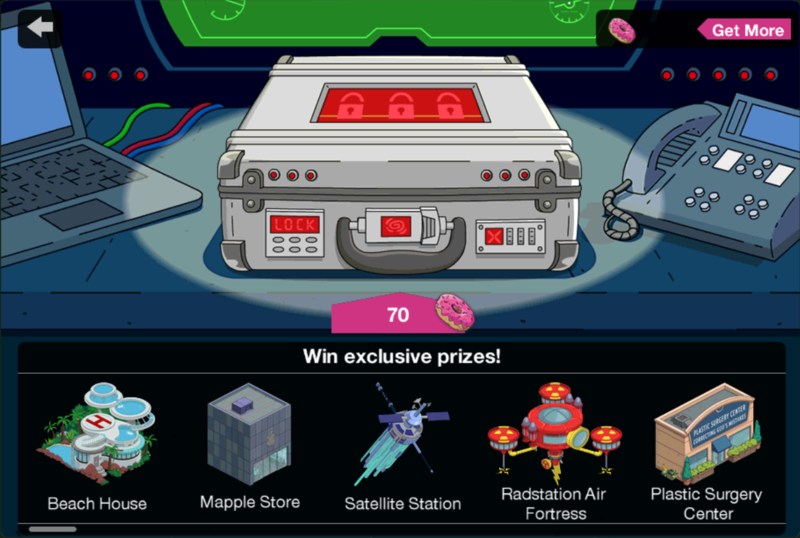 Radstation Air Fortress Unlocks with Mystery Drop Box. Returns from Superheroes and Superheroes 2. 200 50,850 Act 1 Prize. 600 48,000 Act 2 Prize. 1,200 45,300 Act 3 Prize. 13,850 Act 1, 2 and 3 Prize. 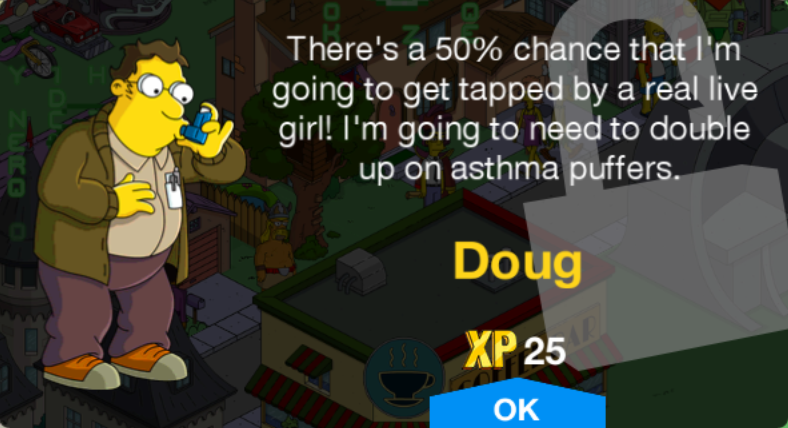 Act 3: 30 Double reward on friend actions. 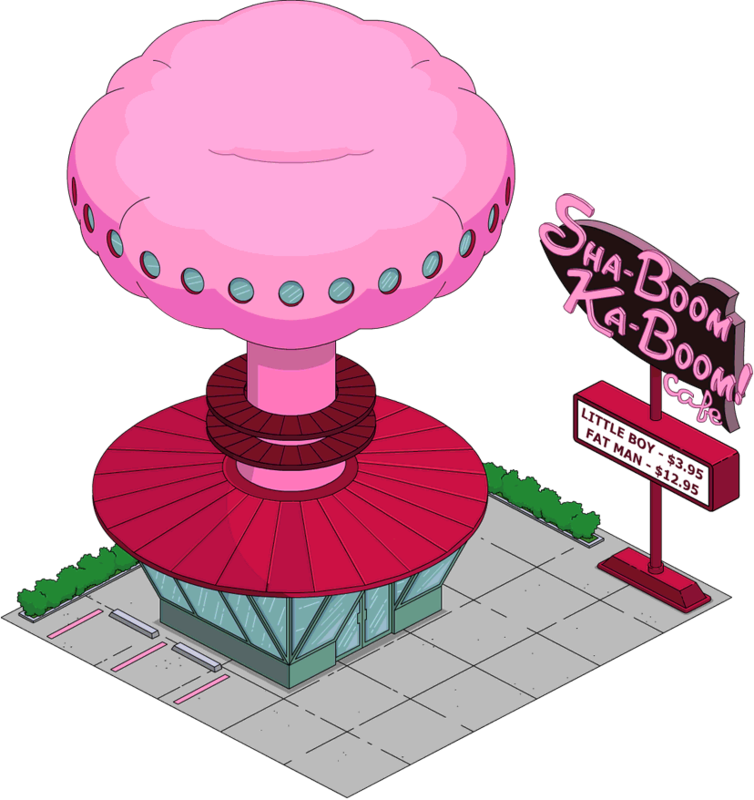 Possible content: Satellite Station, Beach House, Radstation Air Fortress, Mapple Store, Plastic Surgery Center, All Seeing Eye and Number 51. Rebate: 40. 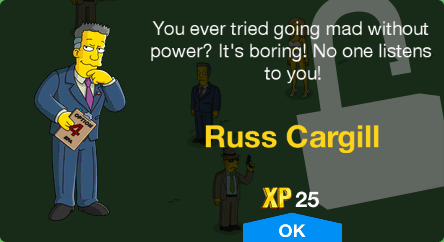 Requires Level 31 and Wolfcastle. Rebate: 30. 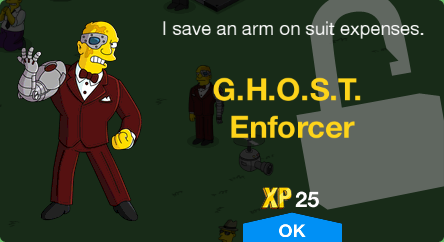 Requires Level 48. Rebate: 50. Requires Level 10. 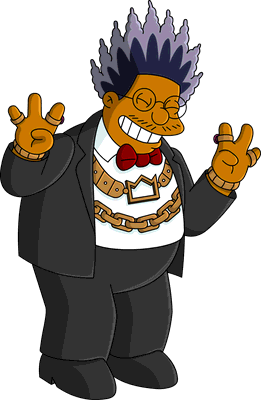 Super Collider Treehouse of Horror XXIII - "The Greatest Story Ever Holed"
Lava Machine Treehouse of Horror XXVII - "Moefinger"
X-Ray Machine Treehouse of Horror X - "Desperately Xeeking Xena"
Basketball Court Treehouse of Horror XXII - "In the Na'vi"
The Island of Dr. Hibbert Treehouse of Horror XIII - "The Island of Dr. Hibbert"
Black Hole Treehouse of Horror XXIII - "The Greatest Story Ever Holed"
If the next set of dossiers don't appear, send someone to Collect Intel and that'll start the new set once done. 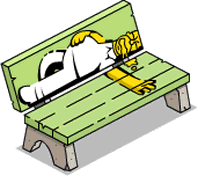 Day 8 Make Krusty Fall Down, Get Back Up Make Apu Change An Enemy's "Expiration Date"
Day 5 Make Moe Coerce Drunken Confessions Make Skinner Eavesdrop on the Schoolyard Make Apu Change An Enemy's "Expiration Date"
Day 7 Make Marge Track Gossip Trends Make Apu Change An Enemy's "Expiration Date"
Reward: 1000 Event Currency on Days 1 to 8. 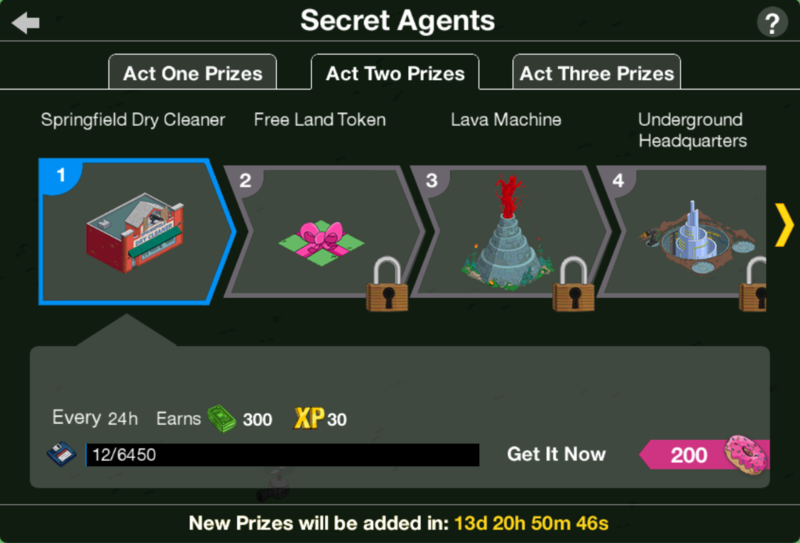 2000 Event Currency and 60 plus the prize on Day 9. Screamapillar Pond 9 Environmental Protection Agency dossiers. G.H.O.S.T. Enforcer 9 G.H.O.S.T. dossiers. Grindhouse Assassin 9 C.I.A. dossiers. 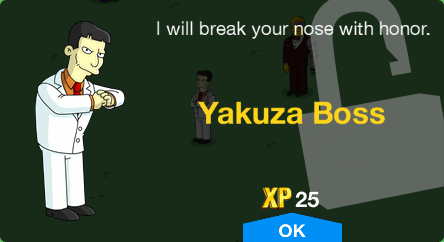 Yakuza Boss 9 Wall Street dossiers. The Splash Screen and App Icon were changed. 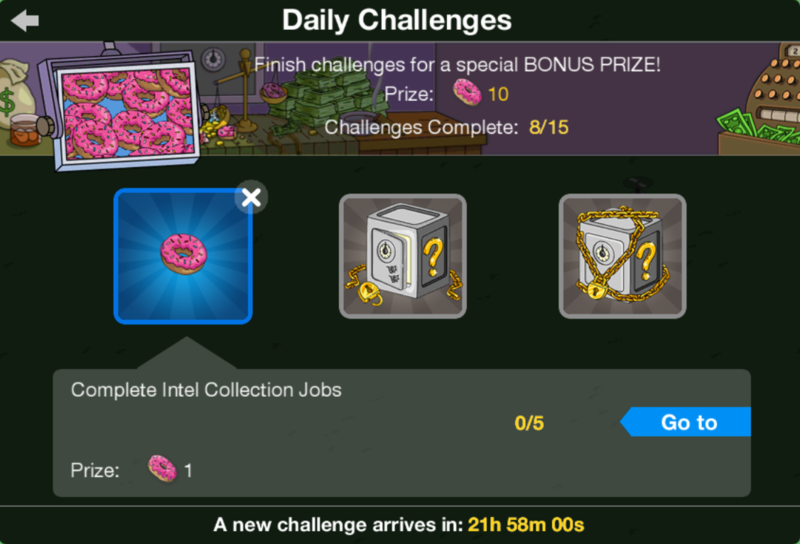 New Daily Challenges were added for the event. Drones are now flying by. 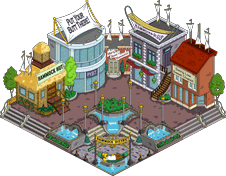 The town center was changed to the Agency Headquarters. A new ambience music was added. 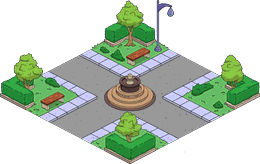 The decorations limit was increased to 9600. A new column of land was added. 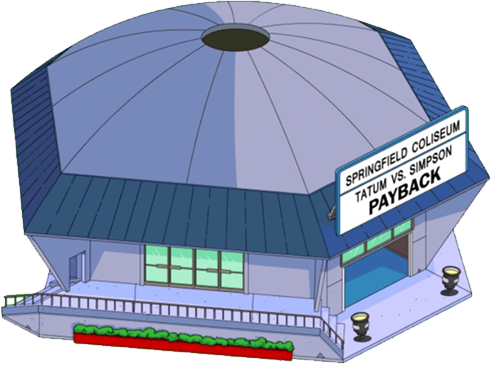 Milhouse and Bart's jobs Practice His Two Pointers and Fight Bart now require the Outdoor Half-Court instead of the respective quests to be active. Japanese Lantern (Small) can now be toggled on or off on tap. The Rule of Two Pt. 1 now require The Helium-Neon Gas Laser Is Always Greener Pt. 1 to not be started and Pt. 5 to be active. His Daily Challenges now require The Helium-Neon Gas Laser Is Always Greener Pt. 5 to be active. 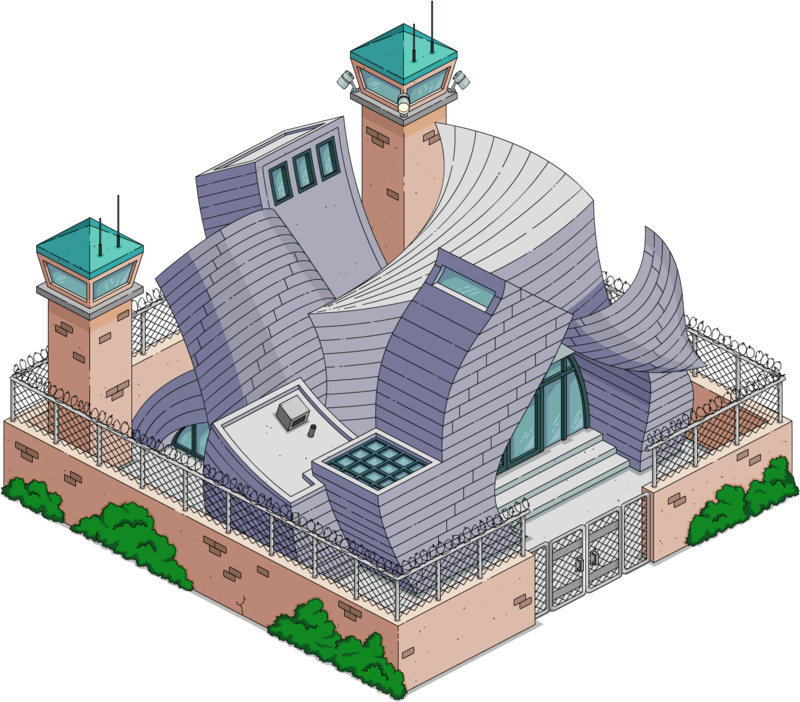 A new item group, Jails, has been added: Police Station, Springfield Penitentiary, Burns' State Prison and Minimum Security Prison. 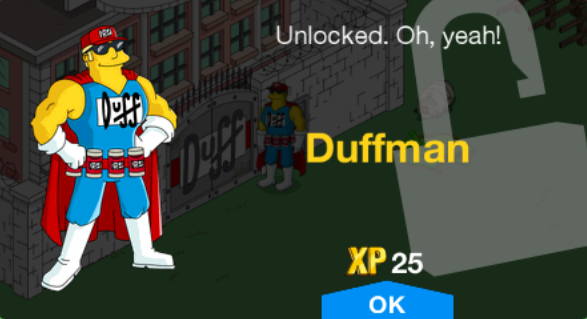 Mapple Store now yields 20 Consumerism points instead of 10. 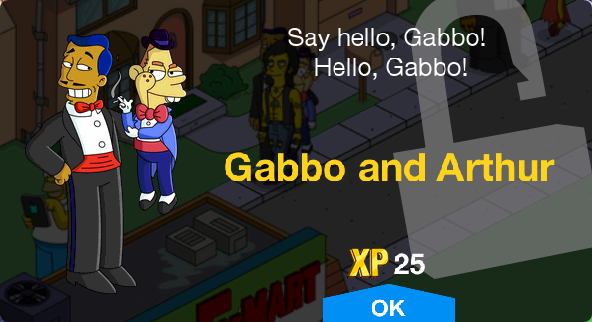 Lucius Sweets and Gabbo and Arthur now earn Premium. The menu images for Japanese Cherry Tree and Japanese Maple Tree were added. The job Interrogate Mr. Bont in the quest I've Been Expecting You can now be done with Mr. Bont if owned. 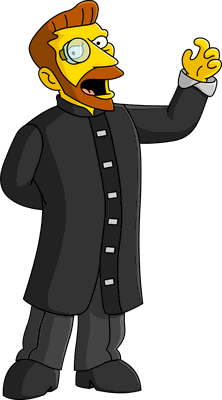 Monty Moneybags was added to the characters inventory group. 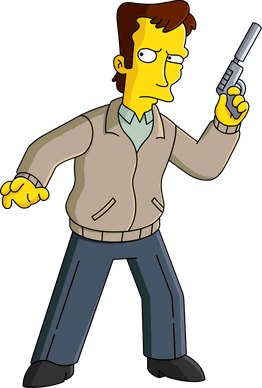 Hank Scorpio's Interrogate Mr. Bont (solo) now requires Death Table to not be owned. 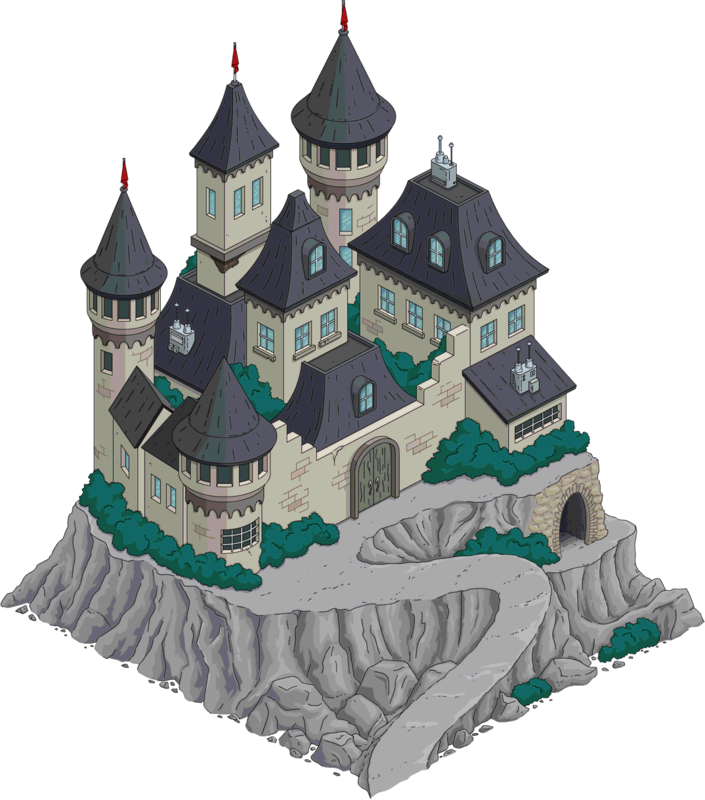 Krustyland Entrance requires the user to not have 3,000,000,000. Placing multiple items of the Lunar New Year 2017 update is now possible. 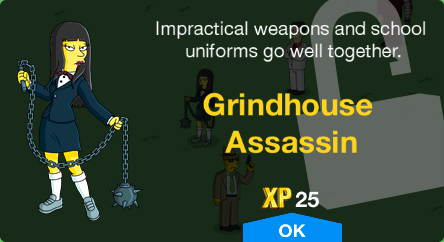 The maximum money a user can have, before the game shows negative numbers, is now 4,294,967,295. 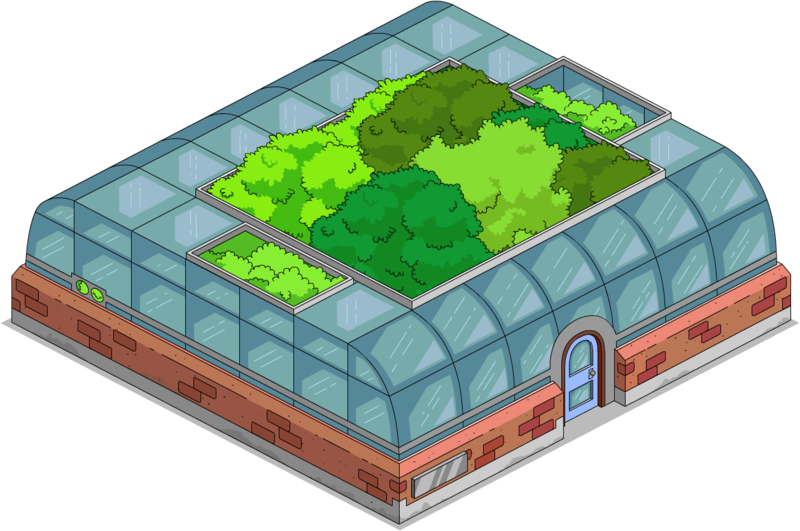 Springfield Greenhouse can now be built from inventory. 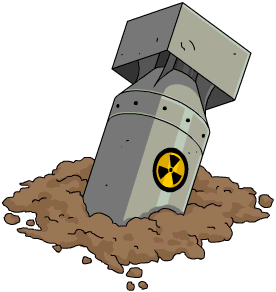 Placing Superheroes 2's Atomic Bomb now yields no XP. 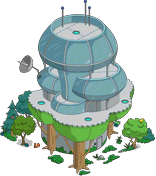 Botanical Garden is now unique, placing it yields 25, its build time is now 6 seconds, it yields 200 Tree-hugging points instead of 100 and its task is now premium. 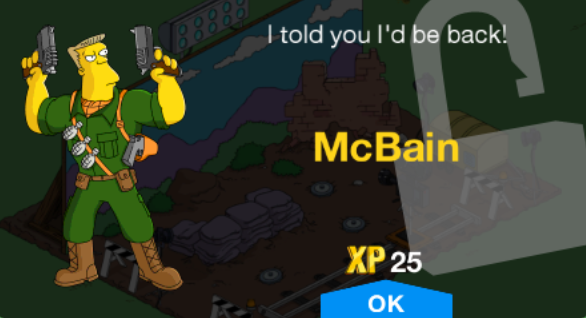 Bartman Cave now yields 20 Indolence points instead of 10. 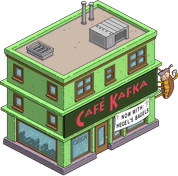 Buckingham Pay-Less Motel now yields 20 Indolence points instead of 10, its build time is now 6 seconds and its task is now premium. 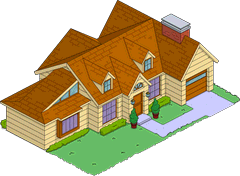 Bart, Comic Book Guy, Homer, Lisa, Marge and Willie now have a 8 hours job that activates the Bad Dream House: Sleep in the Bad Dream House. 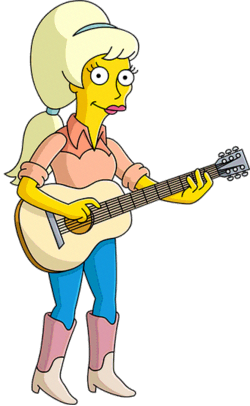 Sophie Krustofsky now has a 4 hour job, Hang Without Dad, and a 8 hour job, Study Her Religious History, both at Krusty Burger. 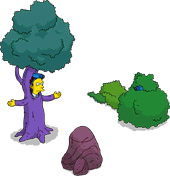 Shredded Ned now has a 1 hour job at Maude Praiseland Statue, Trim Maude's Secret Garden. 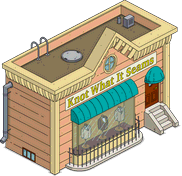 IRS blast radius is now used in Krustyland too. 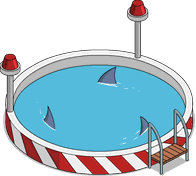 The unreleased Manhole was released, though in white, as Manhole Station. 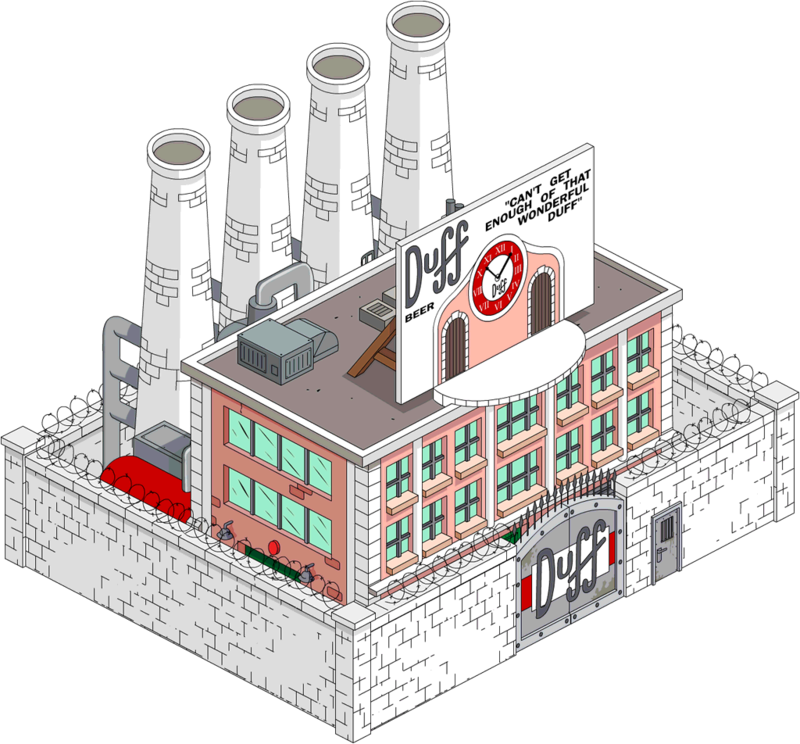 Plastic Prisons are no longer activated or deactivated together and they now act singularly. 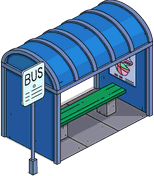 If a user selects an age between 1 and 12, the game won't let the user login on Facebook with the game giving the message: "Facebook login is no longer available to players UNDER THE AGE OF 13". 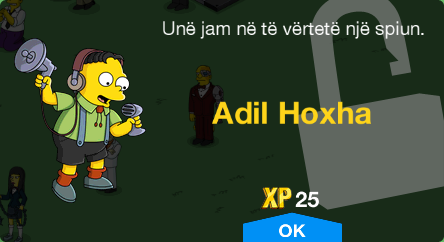 The XP Bar's total counter was vertically decentered. 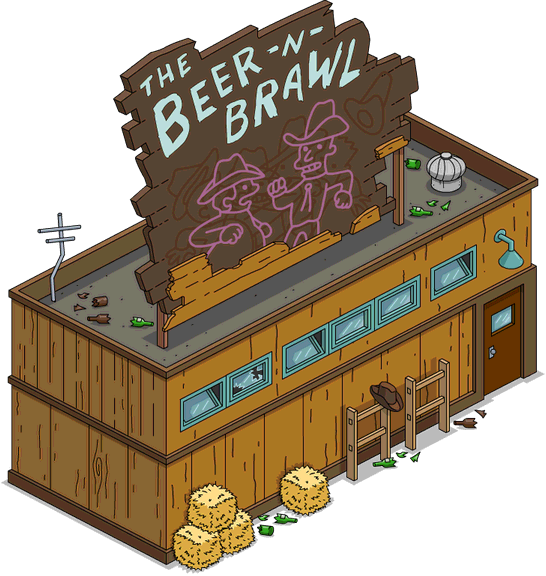 The Eliminator, Duff Garden, Zombie Sandwich, Snow Globe and Spooky Campfire's job list were bugged, not listing what job was started once one is, till reopening the menu. 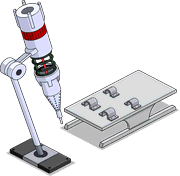 The Drop Chance of Schematics was increased from 10% to 60%. The awarded Schematics however were halved from 2 (act 1) / 6 (act 2) / 12 (act 3) to 1 (act 1) / 3 (act 2) / 6 (act 3). In Eye Spy, You Spy Pt. 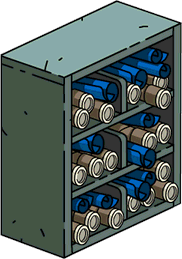 4, the System Message "The story will continue in Act 2. 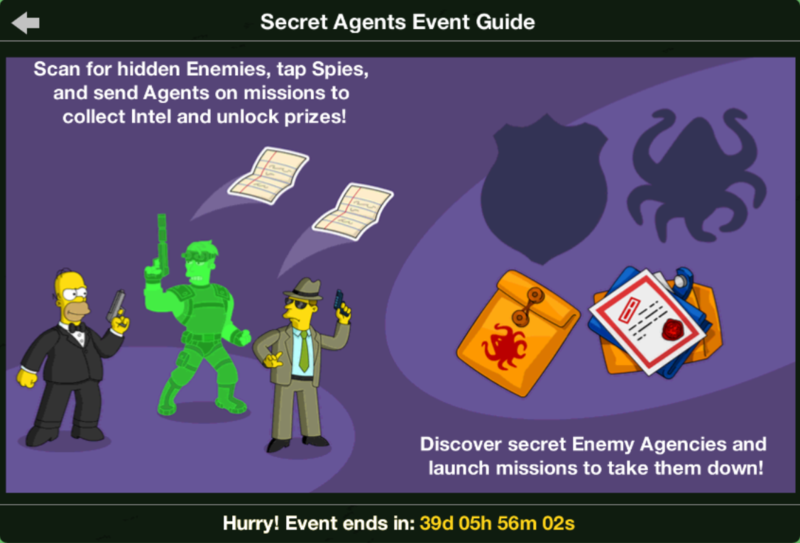 Keep scanning for agents and collecting intel to get more prizes!" was changed to "The story will continue in Act 2. 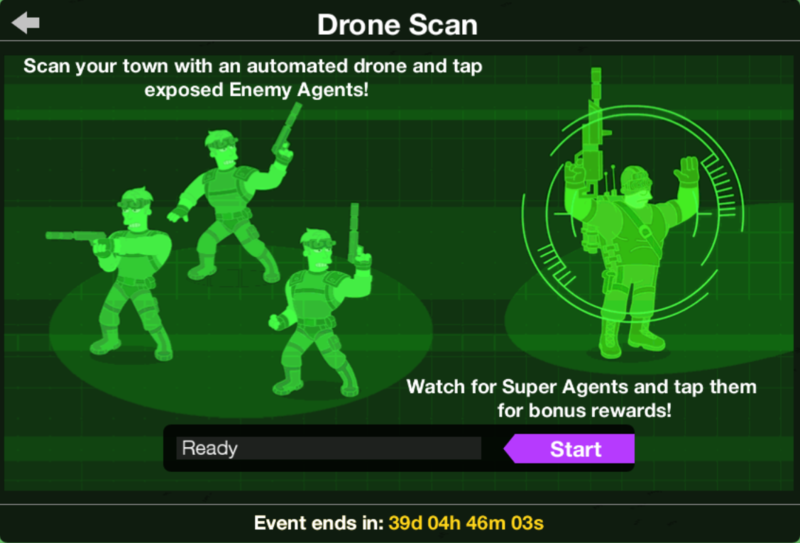 Keep scanning for Agents and collecting Intel to get more prizes!". 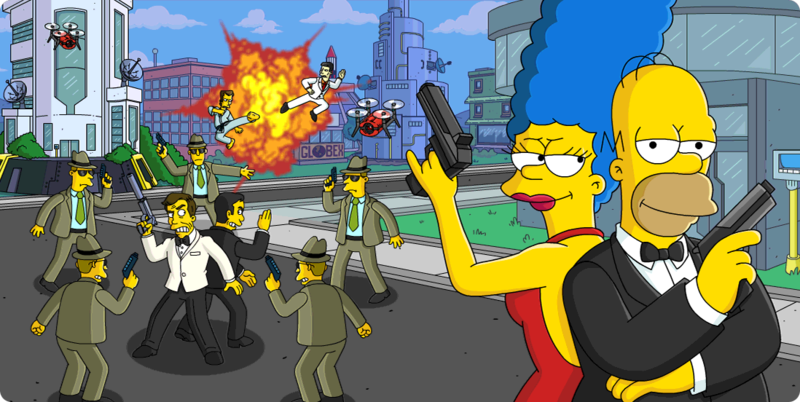 In Secret Agent Moe, the System Message "The story will continue in Act 3. 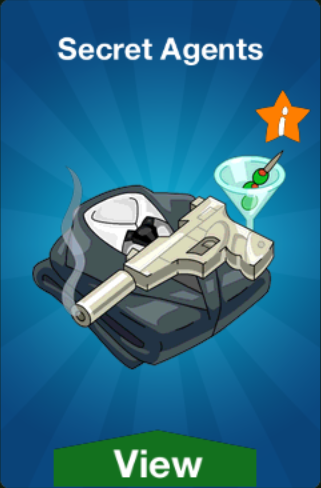 Keep scanning for agents and collecting intel to get more prizes!" was changed to "The story will continue in Act 3. 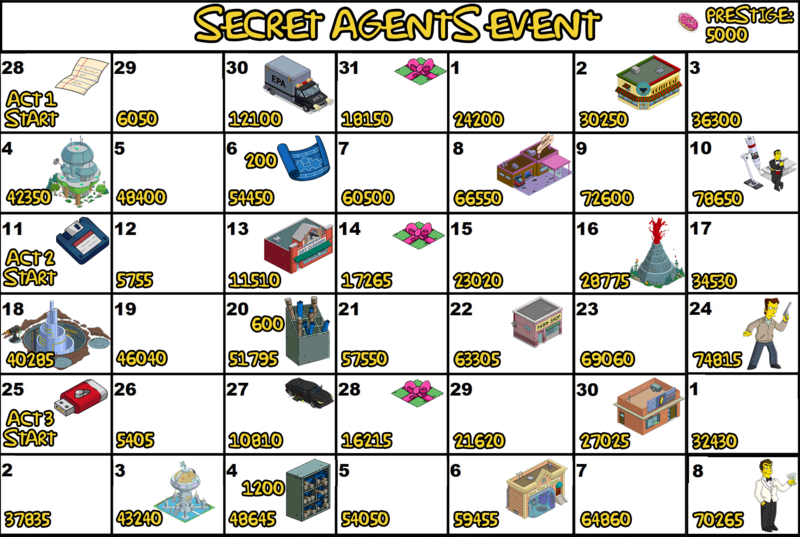 Keep scanning for Agents and collecting Intel to get more prizes!". The animation for Boulangerie Patisserie was fixed. 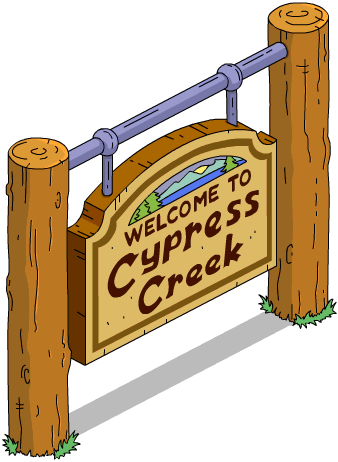 Cypress Creek Sign now has a 1% Bonus $ and XP. 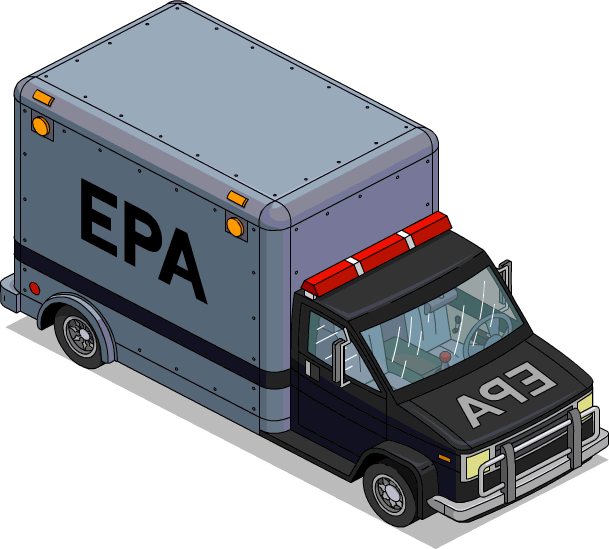 E.P.A. 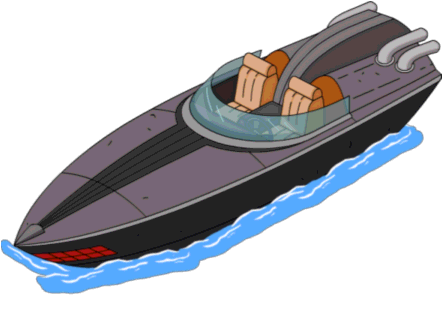 Hoverjet now has a 2.5% Bonus $ and XP. 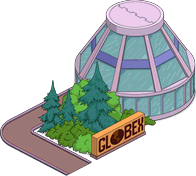 Globex Balloon now has a 0.5% Bonus $ and XP. 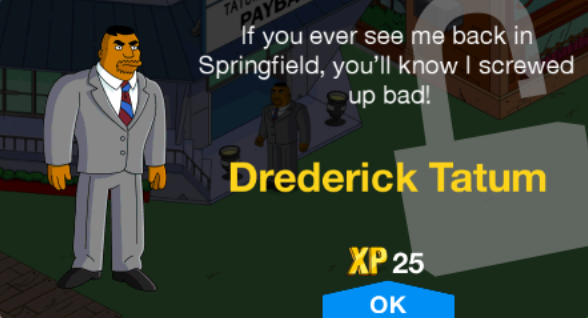 Agent Bont's job Struggle in a Death Trap now requires From Springfield with Love Pt. 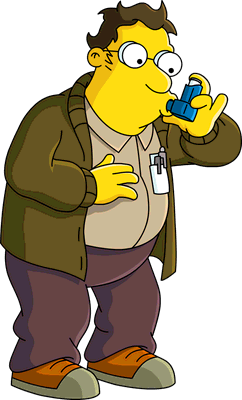 5 to be active and Hank Scorpio to not be owned. 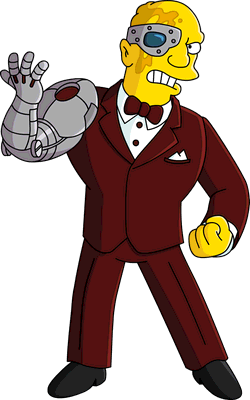 Hank Scorpio's job Interrogate Mr. Bont now requires From Springfield with Love Pt. 5 to be active. 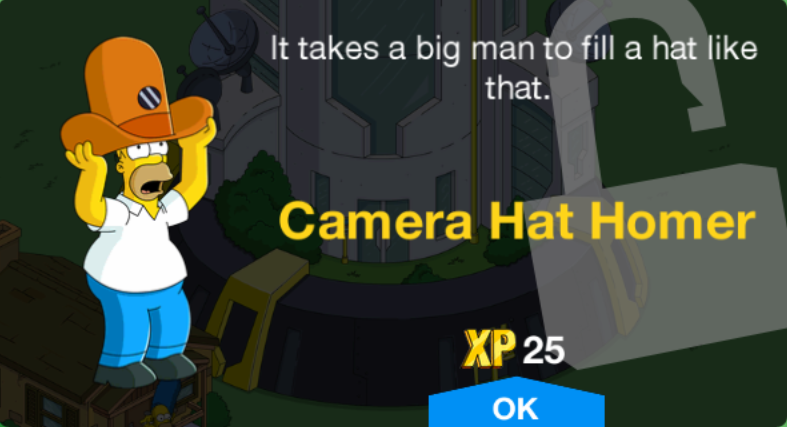 Regular Homer's job Collect Intel now requires Camera Hat Homer to not be owned. 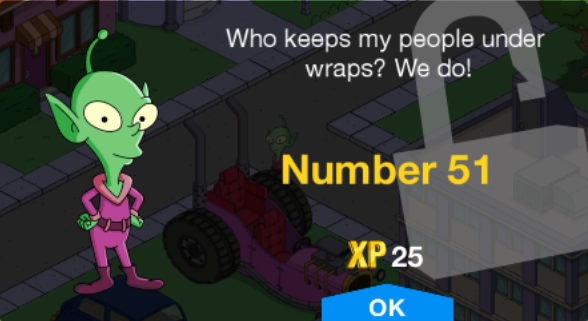 The XP Bar's total counter was vertically centered correctly. 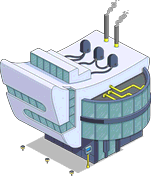 Mona was removed from the list of people that can Collect Intel at the Agency Headquarters, due to her being in the list being an error, since the job wasn't added for her, triggering the icon over the building if she was free. 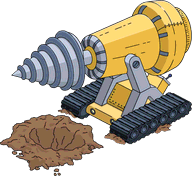 The number of Schematics from winning the Drone Scan minigame was increased. 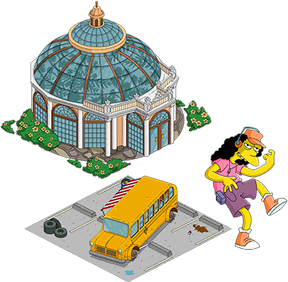 The Eliminator, Duff Garden, Zombie Sandwich, Snow Globe and Spooky Campfire's job list bug, not listing what job was started once one is, till reopening the menu, was fixed. Bug fixes relative to the Drone Scan minigame. 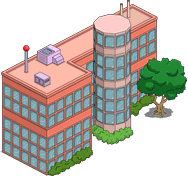 Auxiliary Agency HQ was removed from the business inventory group, is no longer unique, and is now sold till May 16th at 6am GMT. The Splash Screen and App Icon were changed back to normal. Drones flying by were removed. In Around the World Pt. 2, "You got a free land token. Buy land to redeem it." 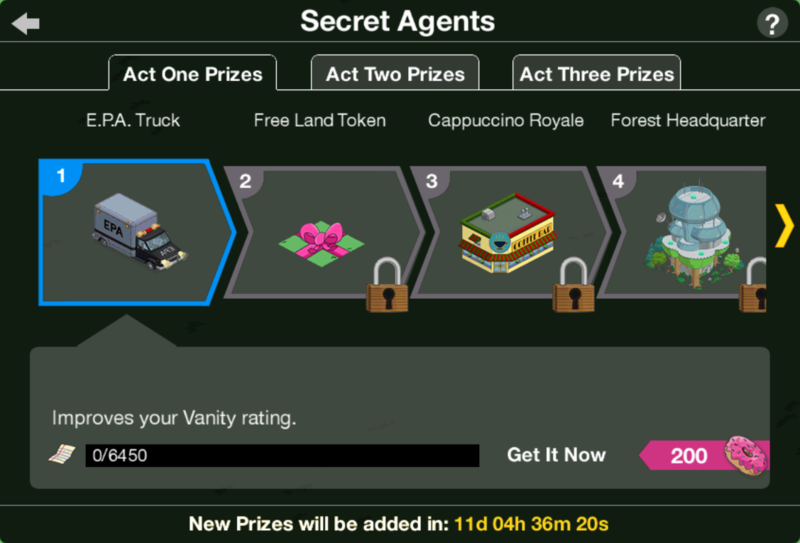 was changed to "You got a Free Land Token. Buy land to redeem it.". 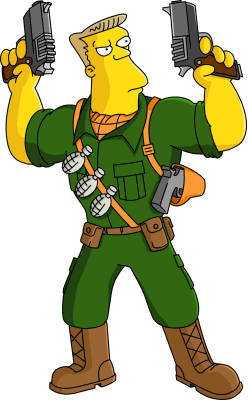 In NahasapeemaPinPal Pt. 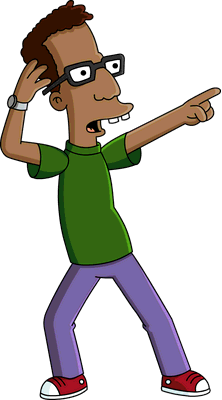 4, "... great. So you'll be on top form for our next match." was changed to "... great. 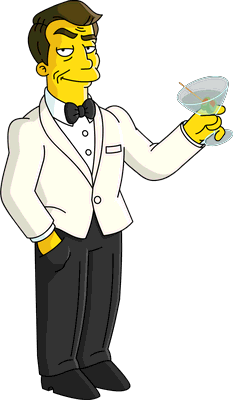 So you'll be in top form for our next match.". A glitch in the quest Fuji's Peak Pt. 1 was fixed. 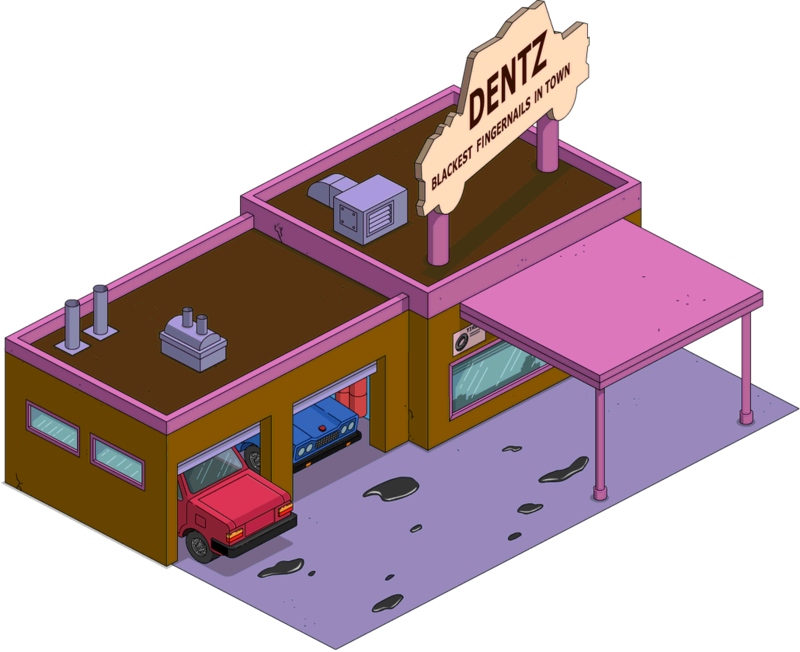 Open Air Stage, Nightmare Pile, Spooky Campfire, Tailgate, Springfield Fire Department, Town Plaza and Springfield Bowl, Springfield Dump, Metal Depot, Glass Depot and Plastic Depot's jobs are now all marked as animated. 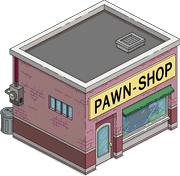 Car Impound Lot, Jebediah Springfield, Shelbyville Manhattan, Ned's Camper and Shelbyville Manhattan Statue can now only be stored when tutorial is completed. 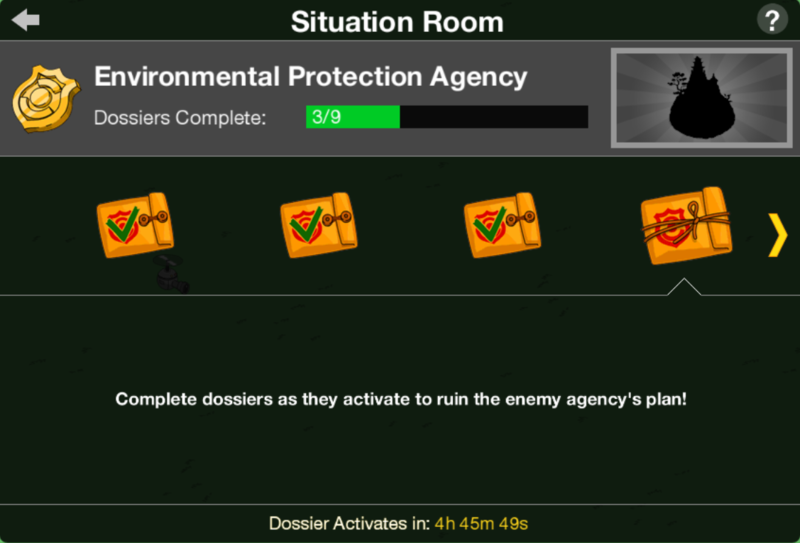 Agency Headquarters and Hidden Research Facility can now be stored. 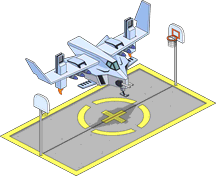 Drone Scan is now permanent and rewards Smart Devices, Junks and XP. For Junk it requires Railing On Pt. 1, A Rail of One City Pt. 5 and Bring All the Junk to the Yard to be started. 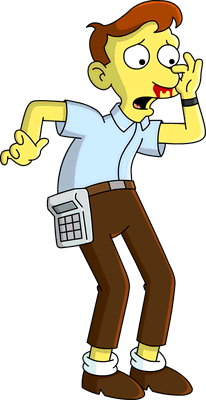 Camera Hat Homer's Get Chased by Bees is now permanent. 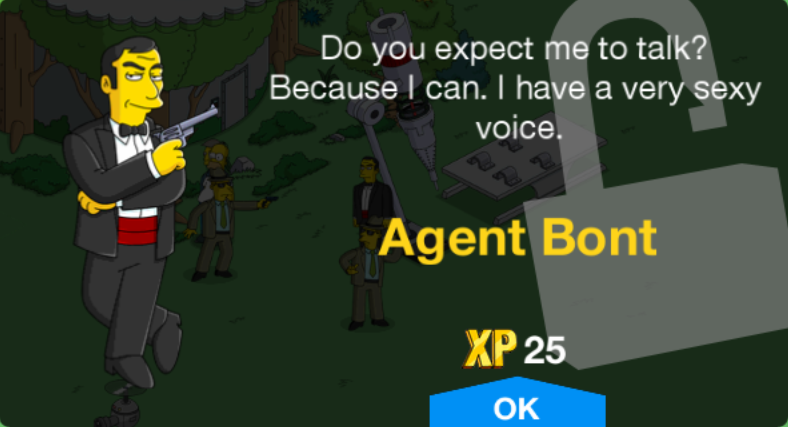 Homer's Reminisce About His Spy Days can now be done at Auxiliary Agency HQ too. 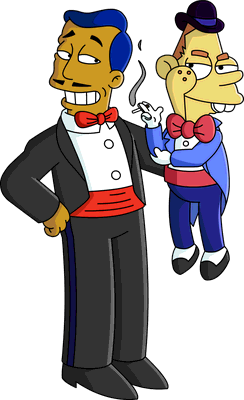 Willie's Apply for a Fancy Janitor Job, Skinner's Dream of a Better Life, Smithers' Get Fries with That Shake, Marge's Drink to Cope with Ennui, Lenny and Carl's Order Take Out, and Marge's Browse the Latest Hammock jobs are now premium. The Helium-Neon Gas Laser Is Always Greener Pt. 1 now no longer requires The Man Who Knew Too Little Pt. 5 to be started. 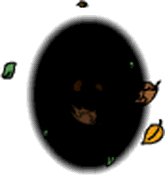 Modified on June 5, 2018, at 03:52.